Designed for ultimate breathability, the Lazybed uses a unique viscoelastic foam, bamboo fabric, and a mesh base to prevent sleepers from overheating. 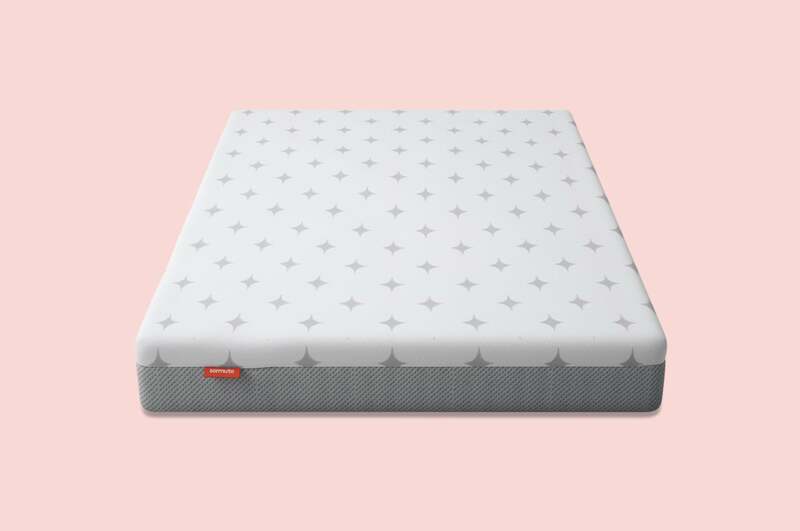 It's medium-firm feel and all-foam construction are ideal for sleepers who enjoy sinking in and staying supported throughout the night. 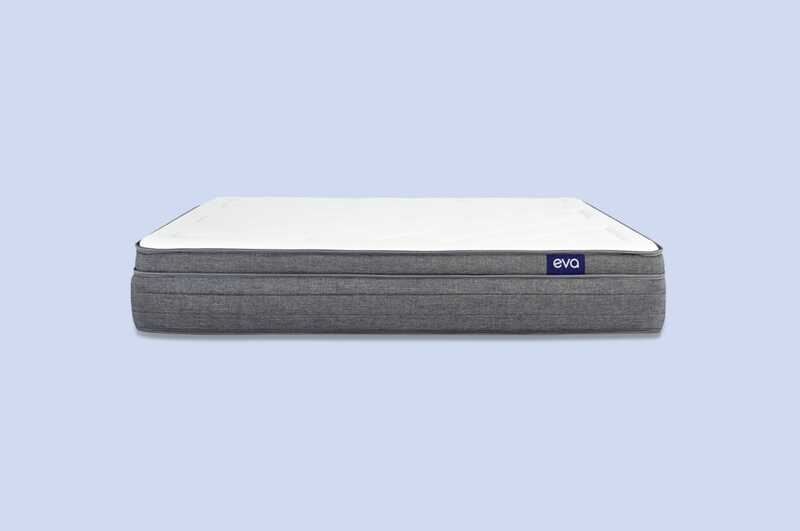 A generous at-home trial period and longer warranty make it a good pick for people ready to transition from a spring mattress. And the Lazybed's below-average price is perfect for sleepers on a budget. After reading this review, you'll have an idea of what it's like to snooze on a Lazybed mattress. We share information from real customers about the firmness, sleep quality, materials, overall feel and more. 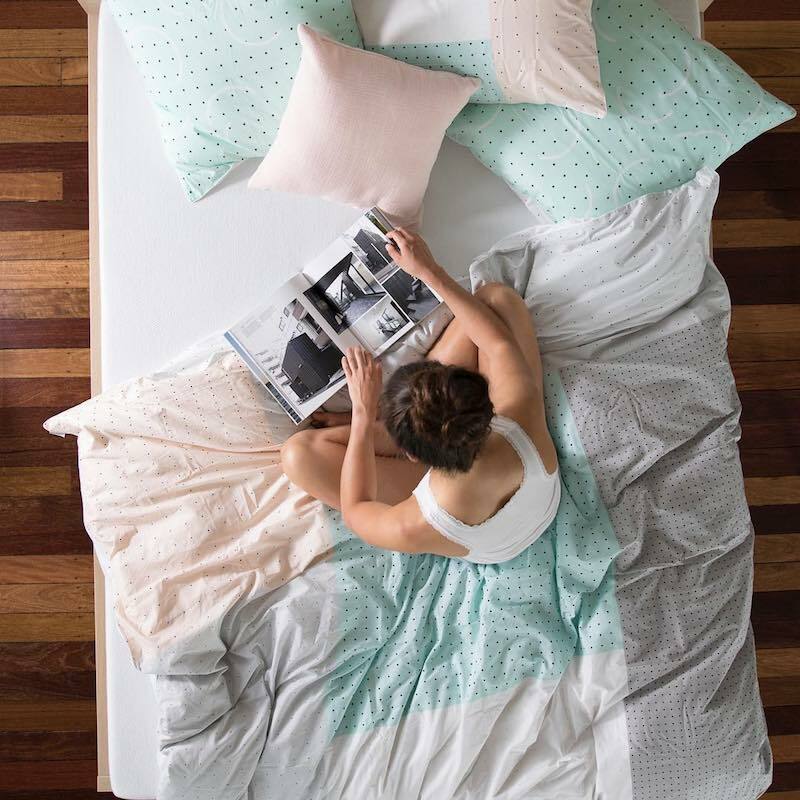 While we do our best to use a range of customer opinions and unbiased data, we believe the best way to learn if a mattress is right for you is simply to sleep on it. But by the end of the review, you'll know whether or not the Lazybed is the right mattress to bring home. How does the Lazybed mattress feel to sleep on? Like many all-foam designs, the Lazybed sinks and contours to your body as you lie down. 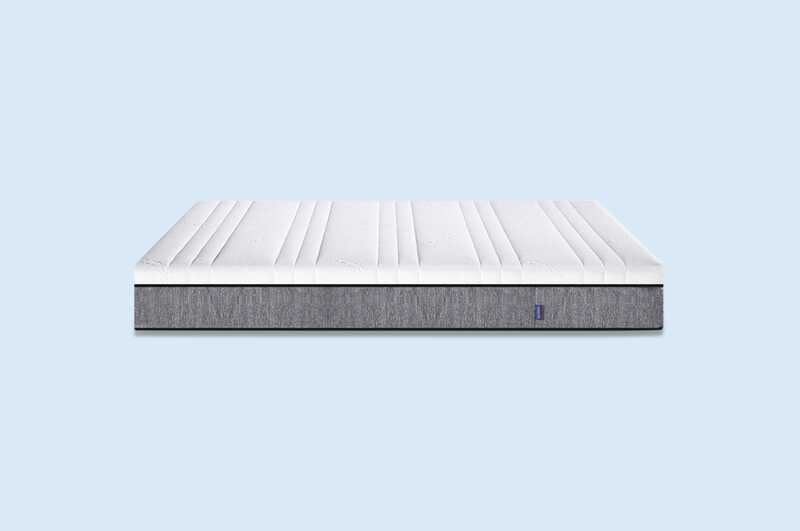 Its combination of specialised Davina foam and high-density support foam give it a medium-firm feel that works for a majority of sleepers. On a standard firmness rating scale, the Lazybed falls at a 6.5 out of 10. While it's not the firmest mattress on the market, it offers more support than designs with a cushioned top layer. 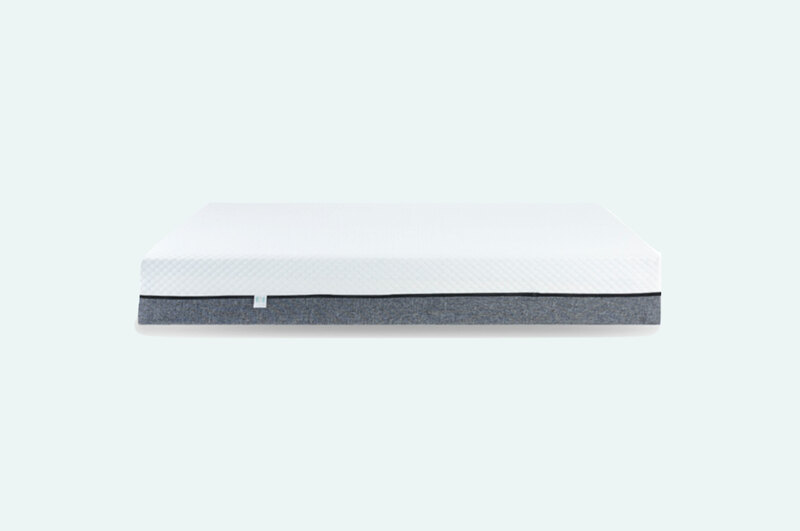 This firmness is typically ideal for back or side sleepers. Remember, no mattress is perfect for every person. Even in the Lazybed customer reviews, some said the mattress was too soft, while others said it was too firm. Yet, it was just right for many others. 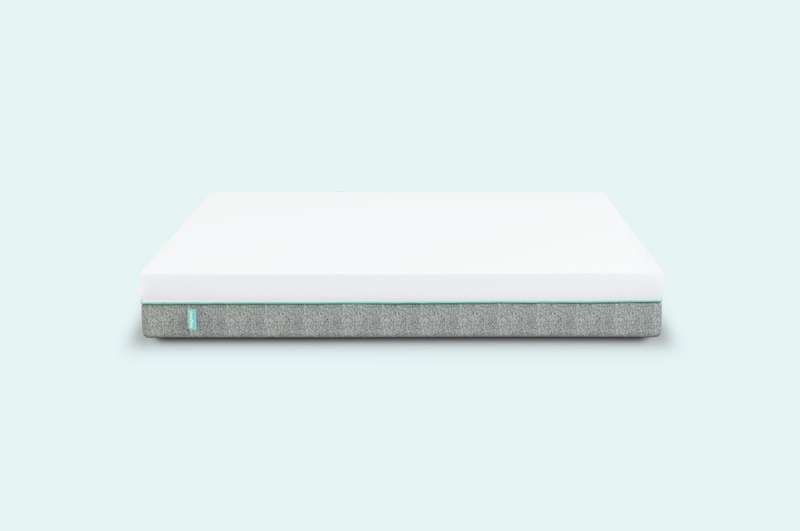 To help you decide if your sleeping preferences fit this design, we looked to back, side, and stomach sleepers that actually tried the mattress. We found that side sleepers enjoy snoozing on the Lazybed more than back or side sleepers. The sinking Davina foam is ideal for relieving pressure on hips and shoulders that push into the mattress. Many people who found the most comfort were switching from traditional spring designs, so it took them a few days to get used to the foam feel. However, they were comfortable and without sore limbs after a short time. While this firmness works for certain positions, it's not the best for back sleepers or people with back issues. Several customers said the sinking feeling was not supportive enough for their backs, because the foam hugs the body instead of lifting it. If you have back issues because your mattress is too firm, the Lazybed could be a good in-between option. But if you require extra-firm support, you'll likely find this mattress too soft. What's not right for some is perfect for others. Stomach sleepers were happy with the sinking, feeling of the Lazybed. Some lighter stomach sleepers said they added a topper for extra cushion, but average to heavy stomach sleepers enjoyed how the foam slowly sunk and supported all the right places. Since the Lazybed lacks spring support, the edges easily sink when you sit or stand on them. For people with back problems, this may cause an issue when getting in and out of bed. If you need support to help you stand up, you may want to look to a hybrid design or denser foam construction. What the Lazybed lacks in edge support, it makes up for in motion transfer. The combination of foams prevents motion from moving from one end to the other. This means you won't feel kids getting in and out of bed, your partner moving, or pets jumping off in the morning. If you're upgrading from a traditional spring mattress, you'll notice a major difference here. While it may take a few days to adjust, you'll love how quiet and calm the mattress stays—no matter the movement. 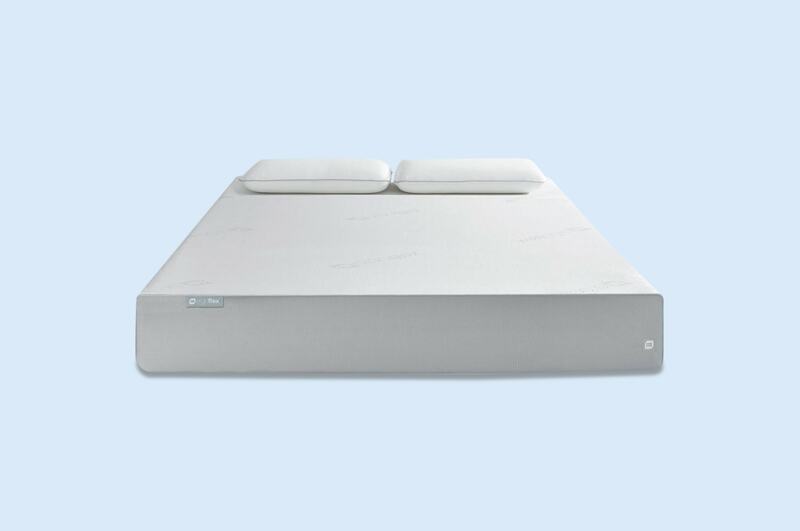 What is the Lazybed mattress made from? Unlike other all-foam mattress designs, the Lazybed is made of only two foam layers instead of three. The company's reasoning behind this is to help with heat dispersion. Less layers requires less glue, which seals in heat and prevents air from transferring between layers. Below, we share how this affects weight, thickness, firmness, and feel. For the top layer, Lazybed engineered their own viscoelastic foam called Davina foam. Measuring in at 7.5 cm, this foam is infused with cooling gel to pull heat away from sleepers. Other online mattress companies use gel-infused designs or gel beads to the same effect, but they typically have another layer in-between the top cushion and bottom base layer. Lazybed's decision to forgo a third layer means this layer acts as support and cushion at once. Customers say Davina foam has a sinking feel similar to memory foam, but the touch is softer and it's easier to move around once you lie down. The second and final layer is a high-density support foam that acts as a base for the Davina foam. It's thickness absorbs pressure that transfers down from the top layer, while allowing air to flow through the bottom mesh fabric. The mesh base is unique to Lazybed, and may be the reason why the design feels cooler to so many sleepers. Coupled with the mesh, and wrapping the two layers, is a breathable bamboo cover. The fabric is made with 100% woven bamboo and feels silky to the touch. This helps keep you cool during hot summers, but maintains enough warmth during the winter months. A naturally hypoallergenic fabric, bamboo is the perfect choice for this cool-centric design. Before trying the Lazybed out for yourself, you'll have to unwrap the box and bring it into your bedroom. You might want some help with this, as a queen mattress weighs 27 kilograms. Once you get the Lazybed mattress in your bedroom, it's simple to unpack and set up. Every mattress comes vacuum-sealed in a box, but it quickly expands after opening it. Take care not to puncture the mattress while cutting off the outer plastic, and place it in position beforehand. After the wrapping is removed, the mattress will expand in under one minute. While you should wait a day or two for it to fully expand, you can sleep on it immediately. If you're coming from a traditional spring mattress, remember that it can take a few days to a few weeks for your body to adjust. But the 125-day trial period should give you plenty of time to decide if it's the right fit for you. How much does a Lazybed mattress cost? The Lazybed is a great bargain compared to other online foam mattresses, and it's priced below average. For the natural fabrics and unique cooling construction, this is a deal for sleepers looking to try an all-foam mattress without wasting money on high-end designs. The queen size will cost you under $1000, which keeps it competitive with similar designs in the online market. Before ordering a Lazybed, keep in mind it may take some time. Many customers say the delivery dates were off, and customer service was fairly communicative about the estimated delivery. Some waited a few extra days, while others waited a week or more due to a backorder of mattresses. Fortunately, the company works with you—and will even pick up any returned mattress for free. If you fall in love with the Lazybed and decide to keep it, know you have an above-average 15-year warranty. Who is the Lazybed mattress best for? 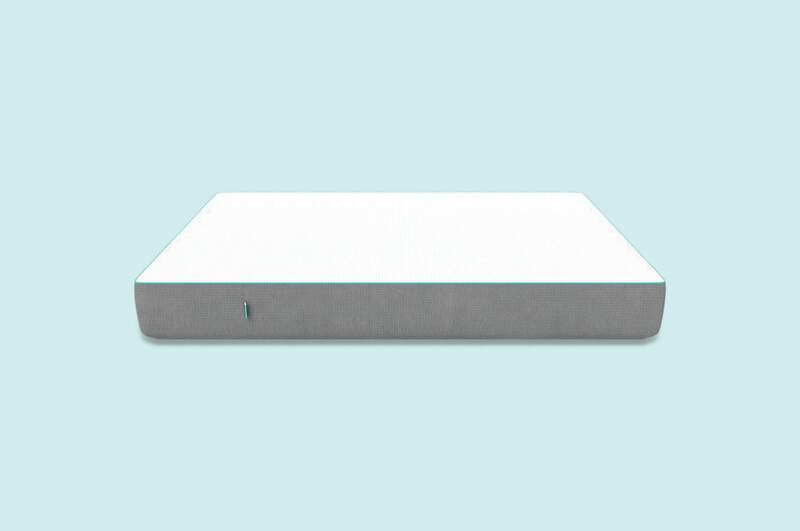 All in all, we believe the Lazybed mattress is best for budget-conscious customers who find the contour of memory foam too tough but want something more supportive than a fluff-filled design. Some customers found it hard, others found it soft, others found it perfect. Since all reviews are subjective, it's best to choose based on your own sleeping style, size, position, and preferred firmness. If you sleep with a partner, don't forget to consider their sleeping needs too. That way, you can both enjoy the sleep-filled nights and lazy mornings this all-foam mattress promises.